BRX Welsh Double Header. 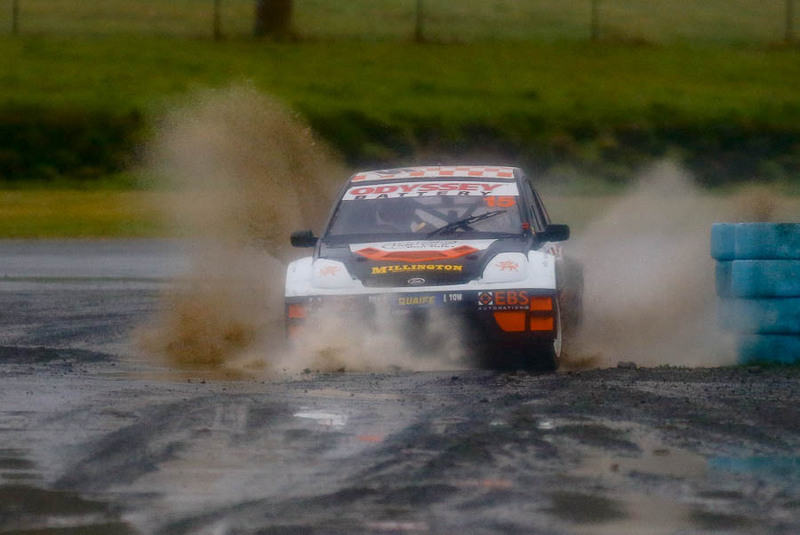 So Rounds 3 and 4 were held at Pembrey on Mayday Bank Holiday what could possibly go wrong with that? Oh and my good friend and fellow photographer Trev Couslon (if you haven’t already checkout his site he’s really rather good!) persuaded me that camping at BRX Welsh Double Header would be a good idea. Yes you guessed it it hammered it down pretty much from the time I arrived to the time I left! Not strictly true as the finals on the Monday were actually sunny and erm dusty! Anyway here are a few of my favourites from the weekend. I always like discovering hidden things in frames I shoot and this time around it was Kevin Procter that held the secret. Running the circuit in reverse was certainly entertaining and a great idea, it should have been fast, however it will probably go down in history as the British round with the most red flags in history! Mike Howling driving in the new submariner class! Everything got wet and steamed up, which made for a nice soft focus effect! Paul Coney its like you’ve never been away! 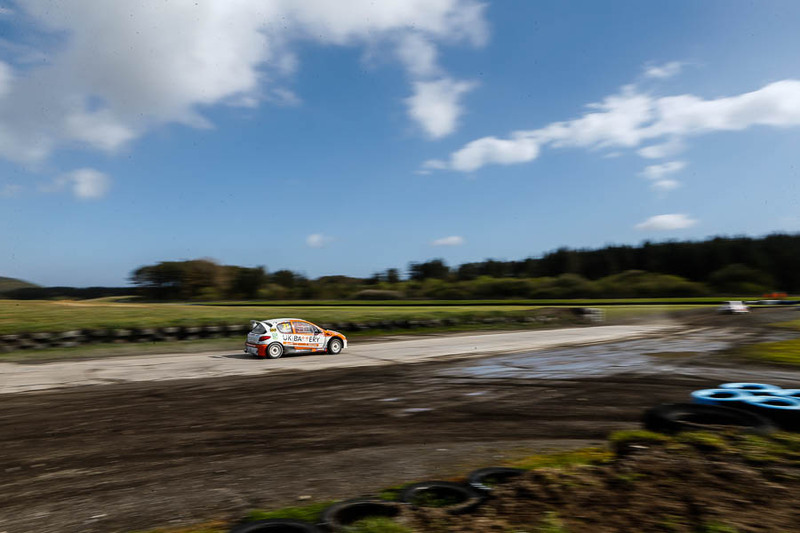 Without a doubt this is one of my favourite angles at Pembrey. 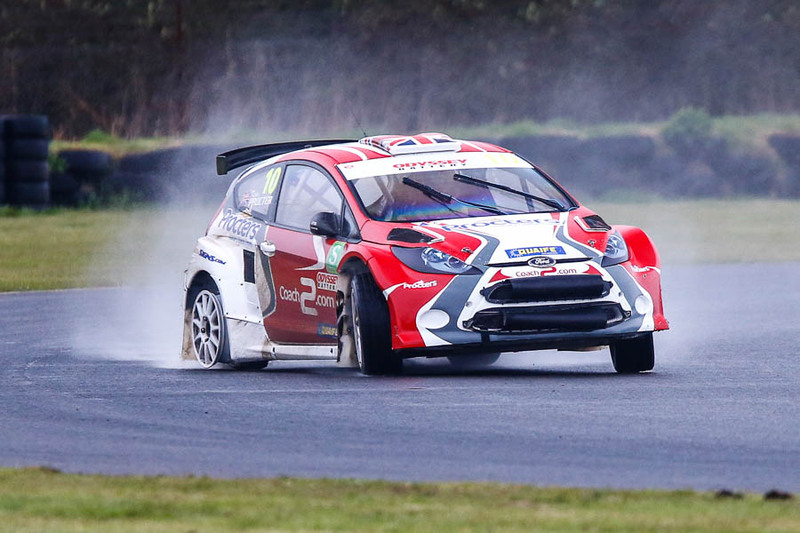 It looks almost Scandinavian, probably the closest I’ll get to covering RX in Scandinavia! In closing you cannot go to Wales and not see a flame spitting dragon can you? 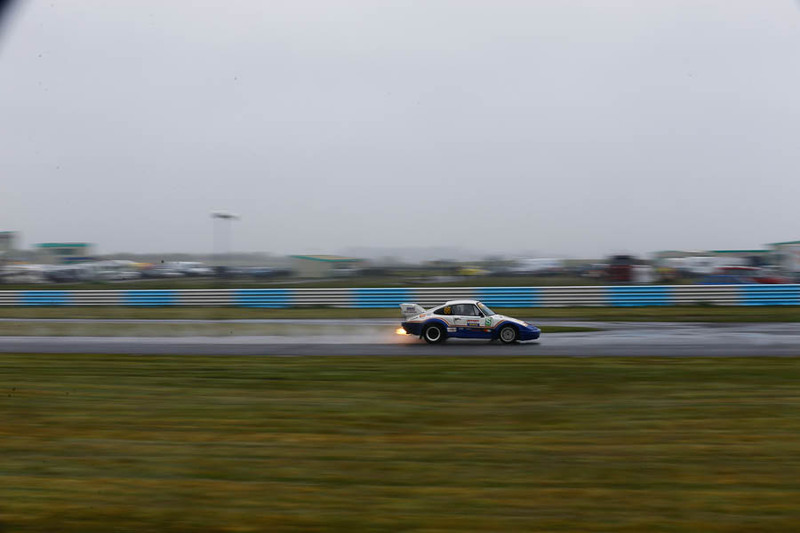 and one of the best is the retro Porsche 911 of Barry Stewart, who won both the Retro rounds at the double header. Posted in RallycrossTagged Barry Stewart, Kevin Procter, Mike Howling, Pembrey Circuit, Retro Rallycross, Stu EmeryBookmark the permalink.